The impact resistant* silicone protected natural glass water bottle that keeps you healthy and safe, far from those harmful plastic chemicals. Bpa-free, phtalate-free, fda approved materials. Clean your LAB[O] with warm soapy water before and between each use. avoid using the microwave, freezing or exposing to drastic temperature changes. 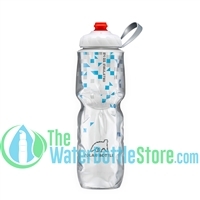 *The bottle is impact resistant when used in normal daily conditions with the protective sleeve on. Handle the bottle without sleeve with care, glass breakage can cause cuts. And don’t forget to enjoy our glass40 warranty if a sad accident were to part you from your favorite LAB[O] prematurely.